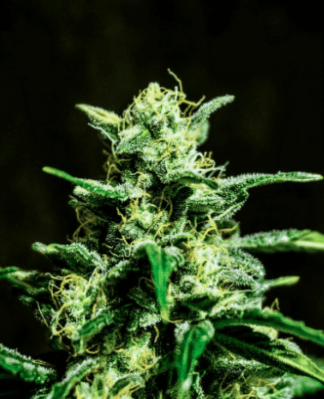 Any time you hear the word ‘critical’ as it relates to a strain you may think of massive buds and even bigger yields; and Azarius’ Ultra Critical is no different. 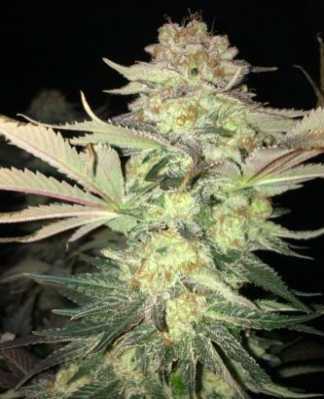 As a cross between Big Bud and Skunk, she’s got a fast flowering time and gives a very trippy high, that quickly turns into a heavy body stone. 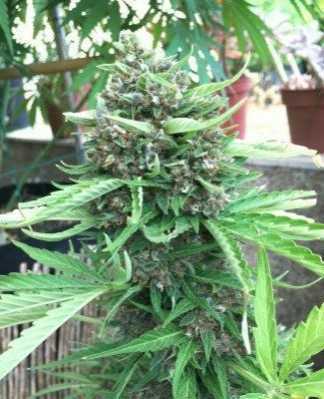 In spite of the name, Ultra Critical is neither a relative of Critical Mass nor a hugely challenging strain to grow. In fact, it’s a high-quality and reliable variety and while it does take a bit of effort to grow, the reward is absolutely worth it. Azarius has not released official figures for THC and CBD levels, however based on the effect; we’d say moderate levels of each. One of the big advantages of growing your own prescription is that you have full control over the process, so you can decide whether or not you want more of a head high or more of a body stone. If the former, collect your harvest as soon as possible after it is ready. If the latter, leave it to mature for a little longer. As is typical of Azarius, they’ve been very coy about strain data, but parents Big Bud and Skunk # 1 were both known for big yields, with the former often giving up around 700g per plant and the latter around 450g per plant so we’re guessing yields in the region of 550g to 600g per plant would be a reasonable expectation. 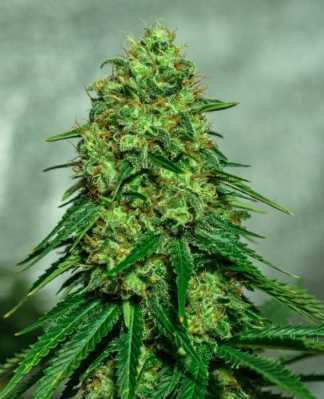 With an indoor flowering time of ten weeks, Ultra Critical isn’t the quickest-growing strain out there, but then it isn’t the slowest of the modern strains either and it’s certainly very reasonable given the sort of yields you can expect. Outdoors, you can expect to collect your harvest around the start of October, so outdoor growers in most of Europe should be able to beat the autumn frosts. The good news is that this relatively long grow time is all about the buds rather than about vertical height. Left to its own devices, Ultra Critical will come close to the metre mark but with effective plant training you could feasibly bring the height down as low as 60 to 70 cm. Like many larger, heavier-yielding strains, Ultra Critical may need a bit of support, literally, from the mid-point of the flowering stage. Basically the sheer weight of the buds can become too much for the branches to manage. Anyone thinking of growing Ultra Critical on a balcony will have to be particularly careful about this, as passers-by may not be too happy if your bud-laden branches fall down on them! One very important point to note about Ultra Critical is that this variety can be at risk of mould unless growers pay close attention to ventilation. Basically this goes back to those high yields. There are lots of branches packed with large, dense buds, which is great for those bumper harvests, but can reduce air flow unless growers are careful about giving each plant plenty of space. 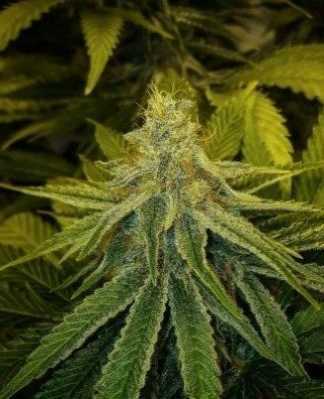 In spite of its skunk genetics, Ultra Critical is definitely a strain for those who like their weed on the sweet side and it’s more of a candy sweetness than a fruity one, but there’s an earthy base to keep it grounded and stop it from becoming cloying. The aroma is lightly fragrant, like a mild but pleasant perfume. To be perfectly honest, Ultra Critical isn’t a strain which is valued for its looks, although there is absolutely nothing wrong with it in that regard. 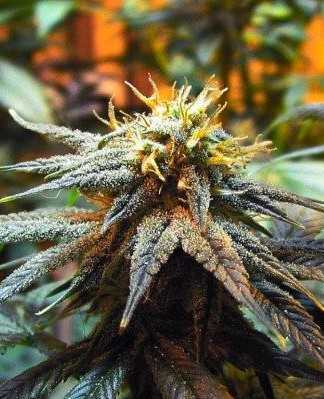 You can certainly see and feel that this is a high-quality strain, with nicely dense buds. Frankly, the basic appeal of Ultra Critical is how big a bag you can fill with it. With a sweet taste, mild smell and compelling medical benefits, Ultra Critical already has a lot going for it even without the huge yields it can offer. Growers looking to make the absolute most of their grow space should definitely give Ultra Critical a look.